Mardi Gras Jester eye mask is made out of a lightweight, yet durable plastic molded to fit face. 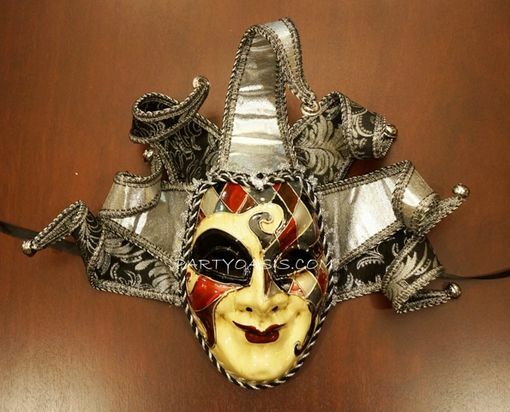 This mask is artfully done with handpainted detail & bendable bell tassles. Can we worn with ribbon ties attached, or preferably showcased at your next masquerade party this Mardi Gras 2013!